There are 30 reviews of Encounter. 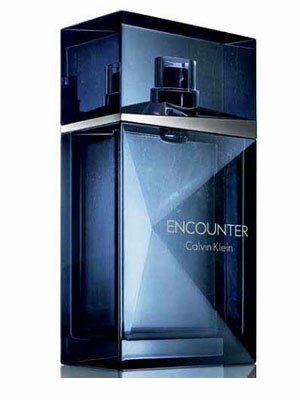 Calvin Klein Encounter (2012) is the first new masculine oriental from the house since Obsession for Men (1986). The 26 years or so that have past between them has been quite the roller coaster for the house that virtually invented both the "fresh fougère" masculine style that came from the release of Eternity for Men (1989), and the "smells like nothing" synthetic minimalism that would come to dominate mainstream fragrance as well after releasing cK One (1994). Calvin Klein understandably became partly to blame for the death of traditional perfumery in the eyes of purists on the hobbyist level, long before IFRA made it an industry requirement to restrict natural ingredients, since Calvin Klein was literally popularizing the use of synthetic substitutes both for artistic and economic reasons, with IFRA rulings simply making it impossible to return to how things were after the trends CK helped create died down. Twenty years after the release of the game-changing Eternity for Men, it looked as if CK was finally done beating the "freshie" horse to death and started playing around a bit with more savory smells, starting with cK One Shock for Him (2011), and following with this. Encounter, as the first new masculine non-flanker fragrance since the unofficial "Age of Eternity" ended, is also designed with the first bit of "me too" thinking CK has had since pouncing on the youth-courting trend with the ozonic Crave (2002). In this case, the bandwagon CK jumps on is the Oud craze, a style usually reserved for niche houses and "Prive/Exclusif" lines (like vetiver was years ago) due to the expense or acquired taste appeal of the core ingredient. Oud has been used by designers for masculines before going all the way back to instances like Balenciaga Pour Homme (1990), but only in slight quantities. Montale/Mancera, Tom Ford, and Dior are usually the big pushers of Oud, but with all examples being close to or over the $200 mark, it's something the average fragrance-buying guy heard about but seldom saw up until the point this hit department stores. Pierre Negrin and Honorine Blanc from Firmenich were tapped for this, but without sounding too crass, it really isn't evident. Just the fact that CK attempts an oud scent for men in this price range was akin to the Death Star blasting Alderaan in a test of it's super-weapon: millions of niche perfumistos cried out in pain then were suddenly silenced, since now they had to share their ace in the hole accord with Joe Schmoe. Make no mistake, this isn't some populist perfume victory, and the concept of populist perfume itself is just marketing anyway (ask Lush about that one). In fact, it really doesn't quite hit the mark as an Oud fragrance, which is probably why they just used Alexander Skarsgard as the face of the stuff and quietly listed oud in the pyramid, and what you have here is an ambery sort of oriental with an oud finish. Encounter has a mandarin note in the top, which is typical of an oriental to use, as anyone who's smelled Aramis JHL (1982) or even the aforementioned Obsession for Men will tell you. A cardamom and rum note are also purported to be here, but they get mostly buried by the scratchy pepper middle. Jasmine and cognac are rolled into this heap of black pepper too, which comes to dominate all the other notes to the point that only the orange in the top and the base notes are detectable around it. Amber, musk, cedar, and finally some oud come out to play only at the end. The amber, musk and cedar pin down what little oud is there, but once we're in the final phases, it's a dry hardened tar-like oud, not oily and virile like Dior or zested up like Mancera. Encounter is a decent enough oriental but like a lot of drugstore and designer oriental masculines of this type made in the 2000's, it confuses what are scratchy and sneezy notes for something seductive and spicy. This conclusion is always reached by designers like CK trying to be alluring but still polite, which bars stuff like animalics from use (or their synthetic proxy). They also can't get by with heaps of moss, clove, patchouli, and kitchen spice either like the older scents in this style due to restriction or expense, which also explains the tiny oud amount. Ironically, the even-cheaper Avon would do this style better both without oud in Passion Dance for Him (2003), and with oud in Avon Premiere Luxe Oud (2016), the latter of which also marries a pepper note to oud much more effectively by not surrounding it in superfluous notes that make it scratchy. Calvin Klein Encounter isn't bad for a discount price, and respectable enough from a house that hasn't done anything for men outside of fresh synthetics for over a quarter century, but there's just so much better for the price, I can't give it a thumbs up. I can commend CK for trying to bring a mass-appeal oud to market for men, but the mass appeal for said market just isn't there. Reveal Man (2015) would see the house playing with a vetiver-themed masculine for the first time ever, and is leagues beyond this as a "sensual and romantic" scent for guys thanks to it's cashmere-like demeanor. 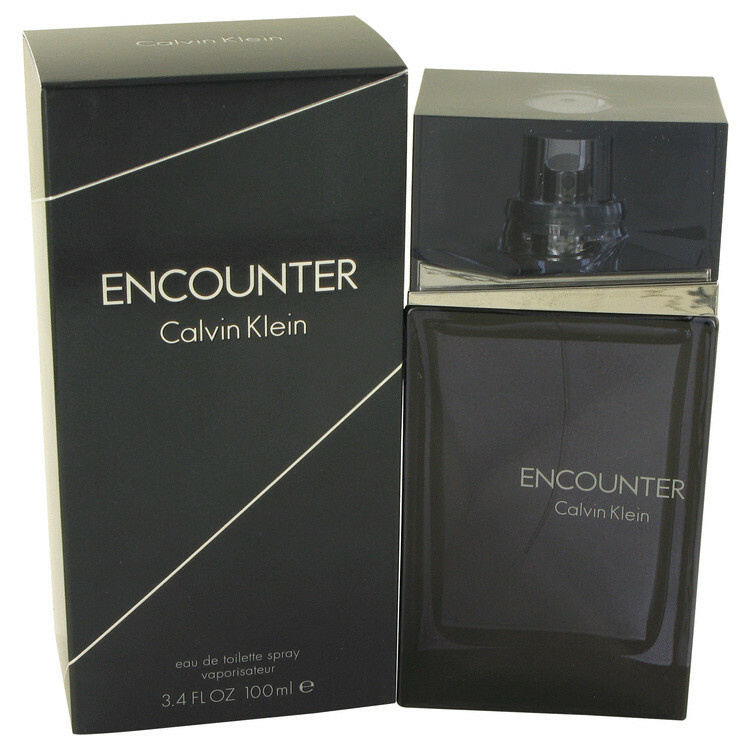 There's definitely collector's appeal for Encounter as folks a decade down the road will probably mention "that time Calvin Klein tried marketing a cheap oud", but we're in "famous flop" territory with that statement, which doesn't inspire wearing the stuff. If you absolutely need a cheap oud you can use without regret, and it has to be something you can find at a department store counter, then go ahead and reach for this, but outside the cool bottle (something CK always delivers on), encountering this one is entirely at your own discretion. Encounter smells like a three-car collision of current masculine styles. If you can imagine mixing a thinned- out Escada Pour Homme with Magnetism from the same house, you might get some idea of how confused this release is. Instead of blending the components well it feels like they tried to make every prominent note the star of the liquid. It is cloyingly sweet and the top notes stick around just long enough to fairly be listed in the pyramid. The 'Oud' in Encounter is to Oud what a knockoff purse labeled 'Guchi' is to the real brand. This whole thing is just a mess. I think Calvin Klein needs to slow down for a while and focus on quality over quantity. Fresh, light, clean, boring, not at all worth the $80 pricetag. A nice mandarine-citrus opening that exudes freshness. Cardamom and a rum note lead to a drydown where a peppery patchouli leads into a woody base. Very synthetic and unexciting overall, but not without being pleasant. Limited and projection, but the longevity of four hours is not too bad. All right for spring. Anyway its a nice soft blend of Rum,Cognac and a tiny spritz of Oud. After an half hour the scent is totally settled as a skin scent. Not my cup of tea a bit too much of everything. Cons: Sillage & Longevity are too, mediocre and will not last"
There are no member images of Encounter yet. Why not be the first?